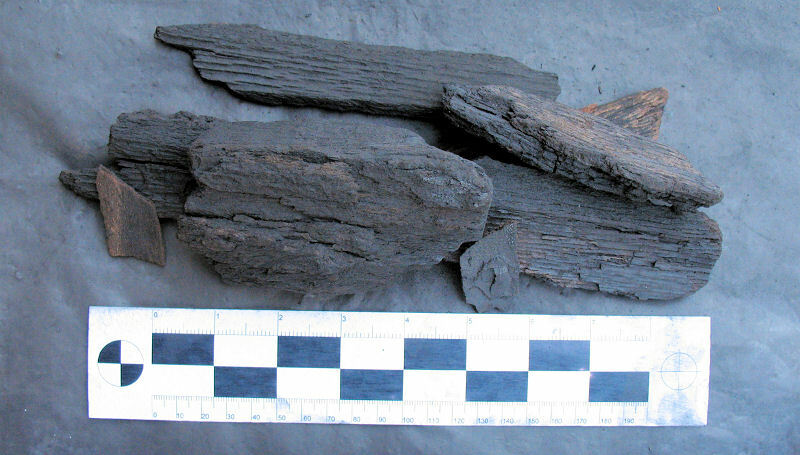 Note that there was 5% by weight of uncarbonized pieces. This was quite high and if you combine it with the 5% small chips and dust, you end up with 10% of the bag not really being usable. However, the "bad" bag, having a lousy distribution, also had no uncarbonized pieces. So there you have the tale of two bags. But, 10% unusable ranks "low" compared to other charcoals, while 5% would rank "very low". As for the type of wood used, we don't know for sure, but we suspect this is your typical blend of various American hardwoods. In our chimney starting test, this charcoal took 3.5 sheets of newpaper to get going which is low compared to other charcoals. The smell of the smoke was the typical American hardwood smoke. While burning in the chimney starter, the charcoal sparked very little with no popping. When we used a MAPP torch to start this charcoal, we did get significant sparking and some serious popping, so as always, exercise care if using any type of torch to light charcoal. One other observation was that this charcoal seem to be smokier than most American hardwood charcoals we've tried. 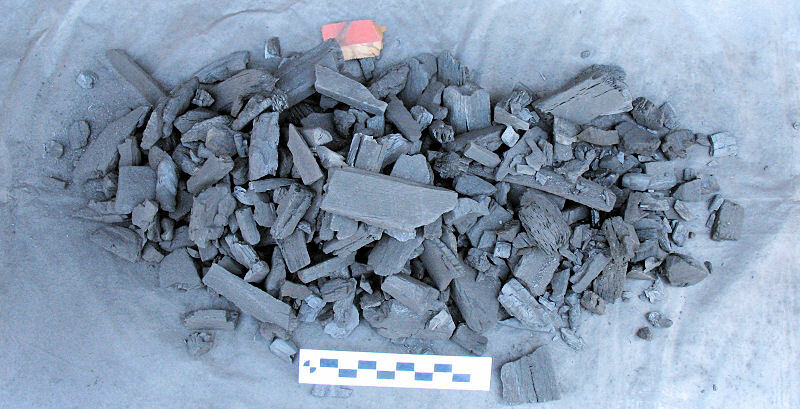 This was noticed when burning the charcoal in the chimney starter and there was no bark or other uncarbonized pieces involved as we had manually removed these pieces during sorting. In our maximum temperature test, the charcoal burned at about 880 degrees which is only average compared to all other charcoals. And again, it sparked a little with almost no popping. The fire spread relatively quickly as the fire grew and came up to temperature. When it came time to test the burn time, this charcoal did a great job and burned a very long time compared to other charcoals. 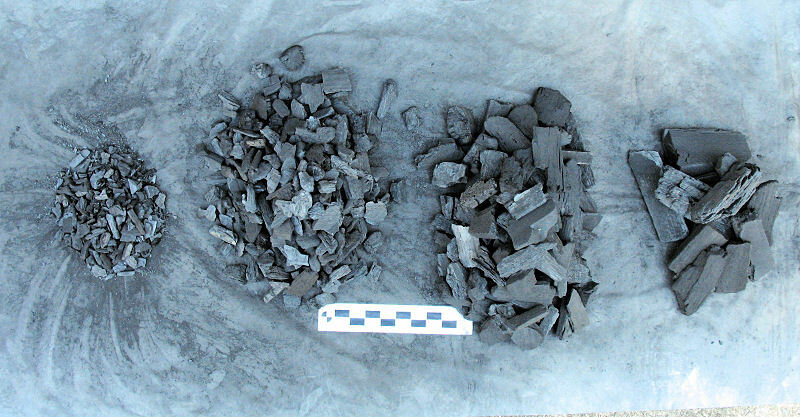 And finally, the ash production of this charcoal was very low compared to other charcoals. So, in trying to determine what rating to give this charcoal we are a bit perplexed over the two very different bags we bought. If we could have taken the best aspects of both bags, Publix charcoal would have easily gotten a highly recommended rating. In view, though, of the fact that you just can't guarantee that you will be getting a good bag every time you make a purchase, we feel we can only give this charcoal our Recommended rating. Still, a very good charcoal. "100% Natural Wood Charcoal", "100% Natural", "Great For All Grills", "Quick Starting", "Hotter Fire", "All Natural", "No Chemicals Added"
"It's Only Natural. You want a natural, smoky flavor when you grill out. Publix GreenWise Lump Charcoal is made from real wood, with no artificial binders or petroleum additives, so it burns clean and gives food a smoky flavor. We recommend using a chimney starter or crumpled newspapers to keep things tasting wholesome." "What's The Difference Between 100% Natural Wood Charcoal And Briquettes? 100% Natural Wood Charcoal looks like wood burned after a campfire. 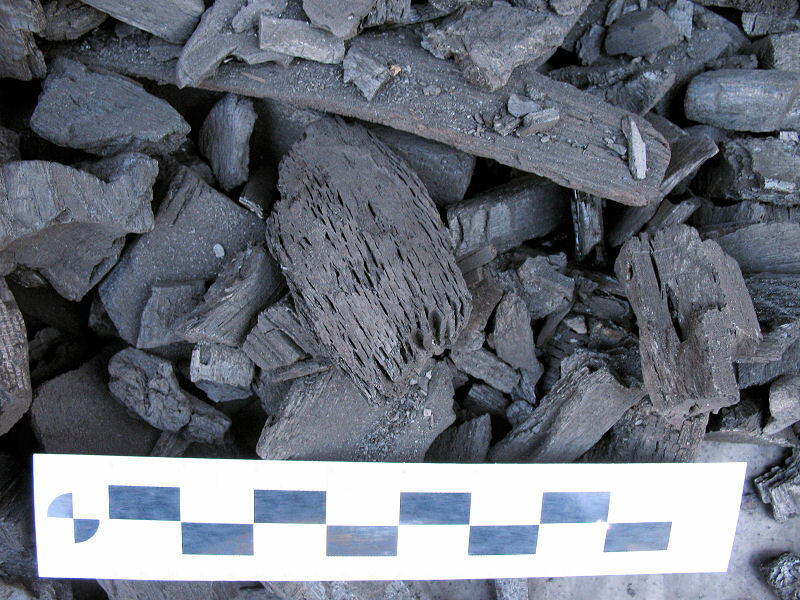 No two are alike, whereas, Charcoal Briquettes look like pressed pillows of charcoal and are uniform in shape. 100% Natural Wood Charcaol is 100% wood, made from oak, hickory, maple and other hardwoods. Charcoal Briquettes are made up of a blend of woods and filler, only 100% wood if stated on bag. 100% Natural Wood Charcoal cooks hotter than regular briquettes and great for searing in food flavor. Charcoal Briquettes last longer for extended cooking. 100% Natural Wood Charcoal takes 15 minutes to get to cooking temperature. Charcoal Briquettes takes (sic) about 30 minutes." Never grill indoors. Make sure grill is away from items that could accidentally ignite. Keep children and pets away from hot grill. Always use fire retardant mitts and aprons to protect against burns. Follow grill manufacturers (sic) instructions for use and safety. DO NOT POUR LIGHTER FLUID ON BURNING WOOD CHARCOAL. NEVER USE GASOLINE TO LIGHT FIRE. FOR BEST RESULTS, STORE THIS BAG IN A DRY PLACE." "PUBLIX GUARANTEE: We will never knowingly disappoint you. If for any reason your purchase does not give you complete satisfaction, the full purchase price will be cheerfully refunded immediately upon request." 1. Arrange GreenWise Natural Wood Charcoal in a pile. Sprinkle with lighter fluid. 3. Wait 10-15 minutes or until natural wood is ashed over. Spread charcoal before barbecuing. 1. Open air vents on grill. Tightly crumble or twist 3-4 newspaper sheets and place on bottom of grill below bottom grate. 2. Place natural wood charcoal on top of grate. Leave at least 1-2 inches of air space between paper and charcoal. 3. Ignite paper. When coals are ashed over, begin cooking (10-15 minutes). 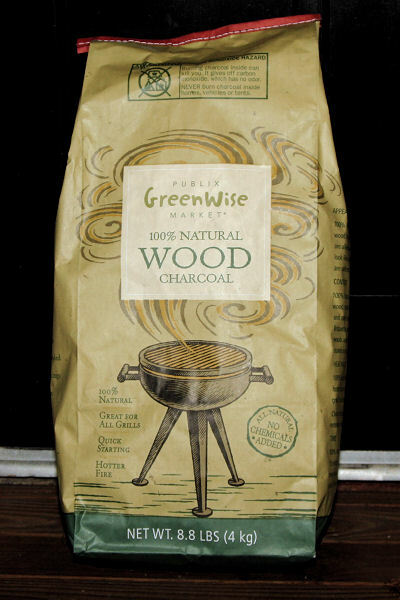 Add more GreenWise 100% Natural Wood Charcoal as needed." 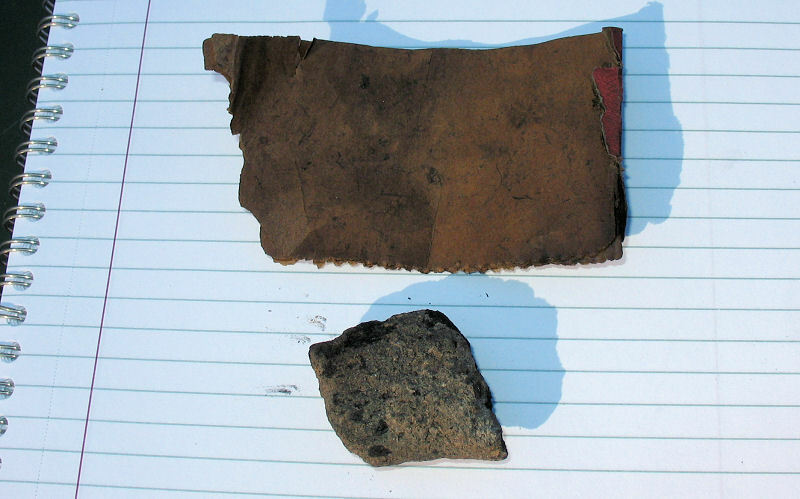 Here are the uncarbonized pieces we found in the bag.